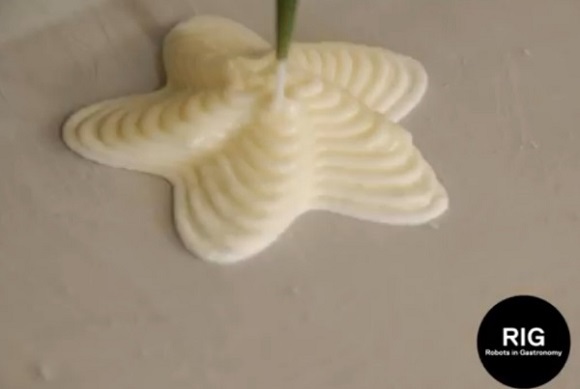 We know lots of ways to make ice-cream at home, but have you ever thought of making your own 3D printed ice cream? 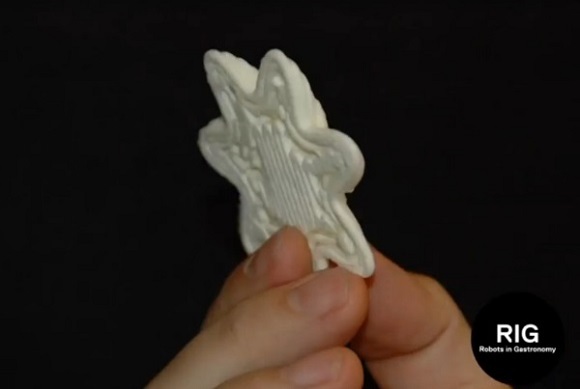 About one month ago three students at MIT, Kyle Hounsell, Kristine Bunker, and David Donghyun Kim were reported to have created an ice cream 3D printer using the concept of a fused deposition model printer. Just about two weeks ago, Luis E. Fraguada from Spanish company ‘Robots In Gastronomy‘ has also represented a printer that is useful for printing ice cream. Their printer is known as ‘FoodForm‘. It helps a user print things onto almost any surface. Fraguada explained that the types of surface vary from the heated surface, like a frying pan or grill, to a cold surface like Polyscience Anti-Griddle if you decide to make ice-cream. You can print food right on a serving plate as well. The Anti-Griddle they use originated from Cocktail Lab. With the Polyscience’s Anti-Griddle appliance you can turn crèmes, purees, sauces and other types of food into semi-frozen or solid creations in a very short period of time. It looks like a plate that is frozen up to -34.4°C/-30°F, that’s why it’s suitable for printing ice cream. The FoodForm is not just a printer for making ice cream. 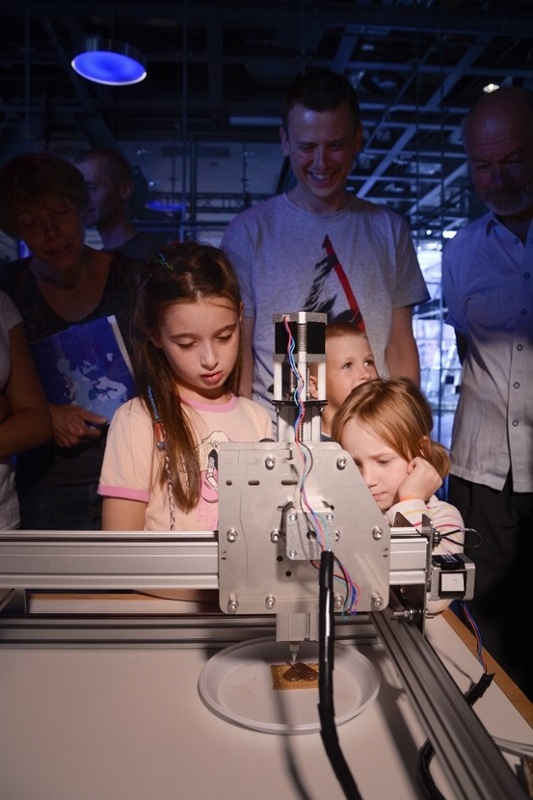 In fact it’s a 3D food printer with an option of printing ice-cream. Anti-Griddle allows quick freezing, but it also has limitations. For instance, it’s important to consider the height of an ice-cream. If it’s thick, it can’t freeze fully. They can print about 10 mm and have the upper layers almost frozen. The shape remains for a few minutes, which is enough for all of us to enjoy the print and not to have it all on your hands. 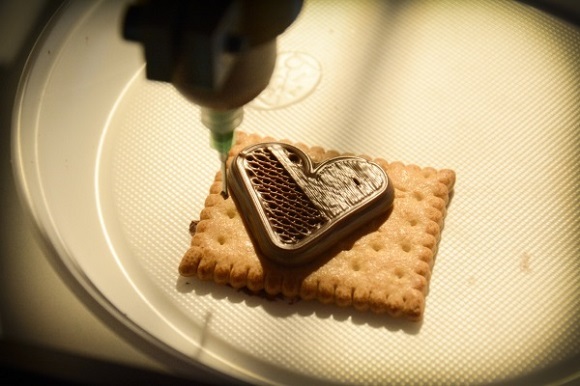 Fraguada told that FoodForm 3D printer is now undergoing its 3rd check, and they are going to present their 4th review, which has been challenged in various severe kitchen environments. 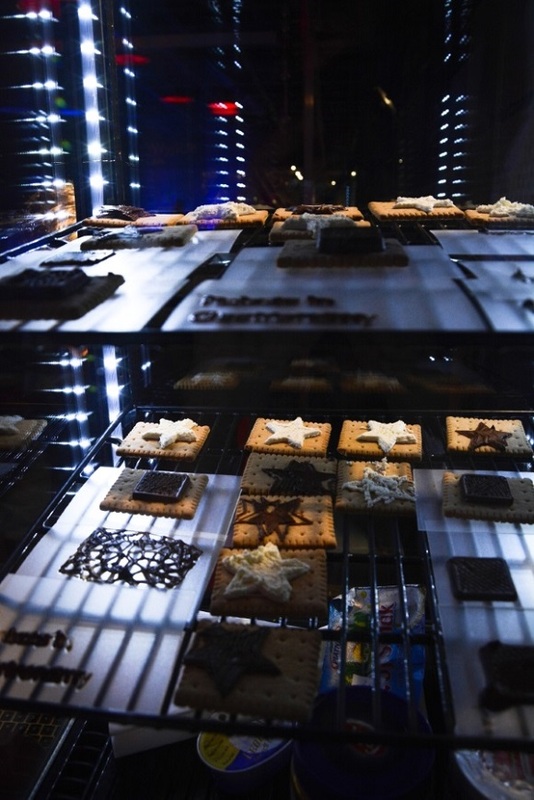 FoodForm has already been used to print such food as chocolate and hazelnut creams, cheesecakes, jams, frostings, cake and bread dough, cream cheeses and others.